This is a guest post by the Colonel-in-Chief's father. 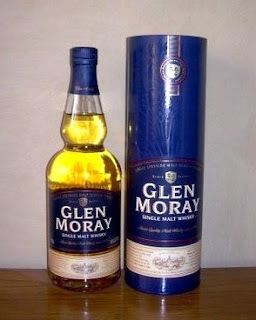 A noted whisky connoisseur, he has reviewed a bottle of Glen Moray. It has a smooth creamy texture, but again there is no butterscotch, the only thing that I can taste is whisky. This is where all whisky should be judged. It goes down with a nice warm feeling with no hint of after-burn that you often get with cheap blends. Overall, I would rate it about five lightning bolts (out of seven).